Ghost is the essence of Rolls-Royce in its simplest, purest form. Advanced engineering combined with a host of hidden technology creates a dynamic yet comfortable drive. Ghost artfully distils the Rolls-Royce history, heritage and ethos into its simplest, purest expression. Elegant, effortless and perfectly crafted, Ghost's luxury is matched by a remarkable V12 engine that gives the driver total command of the road. To celebrate this flawless engineering, they had created a Ghost like no other: V-Specification, the most powerful Ghost ever made. Produced for a limited period, the car will be as rare as it is unique - and only a visionary few will ever have its exceptional power at their disposal.It will cost Rs. 30 lakh more than the regular Ghost model; priced at Rs. 5.20 crore (ex-showroom, Mumbai). Ghost V-Specification's engineering is nothing short of extraordinary; the enhanced twin turbo 6.6 V12 engine delivers an unprecedented 593 bhp, adding to Ghost's already breathtaking power and acceleration. The experience is virtually silent, with 80% of its torque available from idle.It hits 0 to 100 km/h in 4.9 sec. A unique style. A striking look. 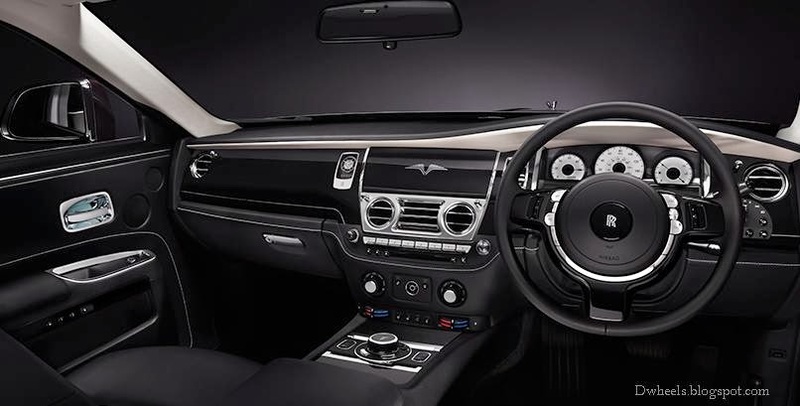 Central to the elegant dashboard is a custom-made covering for the entertainment system, gracefully inlaid with the V-Specification motif in stainless steel. The car also features an exclusive new clock design with a distinctive black crown surrounding the face. Even the most lavish and cosseting interior signifies exceptional performance. In V-Specification, this begins as you open the coach door and are greeted by the bespoke treadplate bearing the car's unmistakable design. Step inside and this Design appears along the line of the car's impressive powertrain; carefully embroidered into the rear armrest. Look closer and you will discover details like contrast piping and stitching. 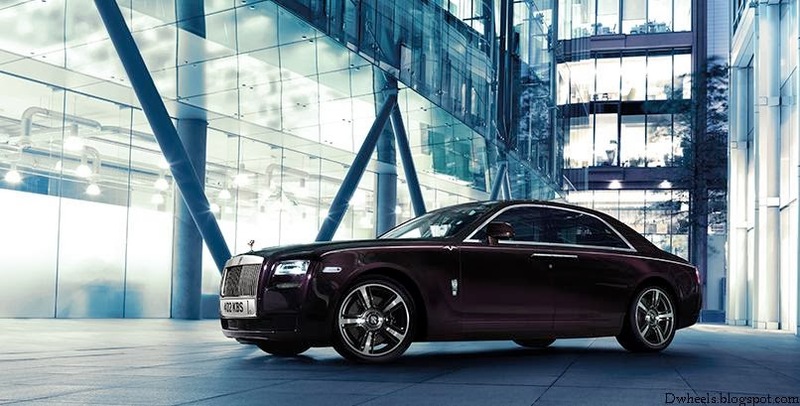 V-Specification offers Rolls-Royce's flawless paint finish in five carefully-selected exterior colours: Graphite, Black Sapphire, Black Kirsch, Arctic White and Infinity Black. 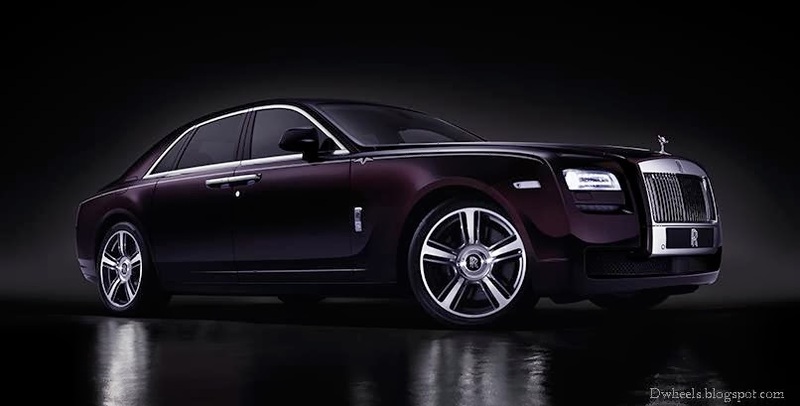 However, you are also welcome to choose any colour you wish from the Rolls-Royce colour palette. Whichever hue you prefer, the car will feature a hand-painted coachline, which artfully incorporates the V-Specification motif. V-Specification's every curve and contour is infused with pure elegance, while subtle details hint at the car's potential. For the first time 21" Part-Polished Wheels are added to the standard wheelbase making a bold, powerful statement. Optional visible chrome exhausts complement this aesthetic, giving V-Specification an assured dynamic appearance.